Riding the rails is one of the most overlooked and under-rated ways of seeing these amazingly diverse countries. 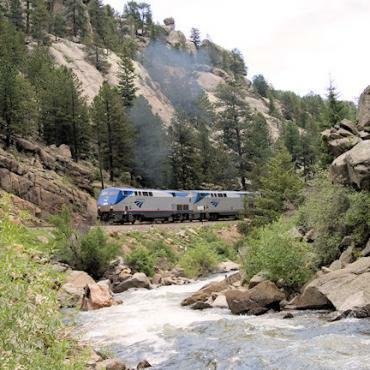 Unlike in the UK, where we regard train journeys as a regular experience - often linked to a fairly mundane commute, a North American rail journey is an event. The stations are often grandiose, historic monuments to glorious pioneering days. Just like in the movies, you'll hear the 'all aboard' call and know you're off on an adventure. Since beginning operations in 1971, Amtrak’s mission has been preserving the aspects of train travel that are timeless, while modernising where possible. 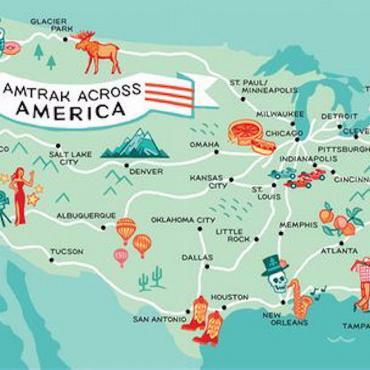 As the USA’s national rail operator, Amtrak connects America with 21,000 route miles in 46 states and three Canadian provinces. With 300 trains operating each day to more than 500 destinations, it’s easy to build a holiday around train travel or add a journey to break up the driving. The sheer vastness of Canada's unspoiled wilderness makes a train holiday the perfect choice and there are two options - VIA Rail and Rocky Mountaineer. Larger than the USA, with seriously remote territories, it can be said that the construction of the transcontinental railway in the early 19th century spurred the birth of Canada. In 1836, the first public train service began. Something big was happening. Locomotives replaced horses and coaches gradually gave way to automobiles and train cars. The possibilities for Canada were now endless. Established by the Canadian government in 1977, VIA Rail Canada became the first national passenger rail company – using America’s Amtrak as a template. Today, VIA rail offers journeys across the country including The Canadian. VIA’s flagship service links Toronto to Vancouver crossing Northern Ontario and the Rockies. It is one of the longest train journeys in the world, taking four days to complete. In your Prestige Sleeper cabin, you’ll watch Canada go by in pure comfort. 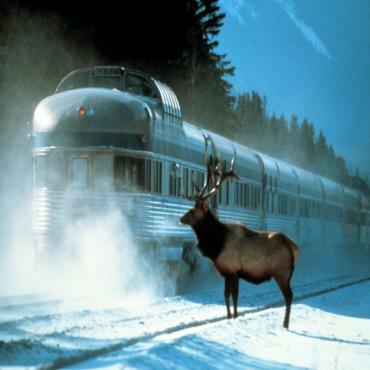 Rocky Mountaineer, considered to be one of the world's ultimate travel experiences, is Canadian owned and operated. Since 1990, they've welcomed travellers to Western Canada and the Canadian Rockies on four unique routes; Journey Through the Clouds, The First Passage West , The Grand Rail Circle and Rainforest to Gold Rush. Whichever you decide, you’ll not only embark on a holiday of natural beauty, but a trail of history and the rich stories of the inhabitants today. To include the Rocky Mountaineer as part of your tailor-made holiday to North America contact the experts at Bon Voyage. Or, to order your copy of The Rocky Mountaineer luxury train guide click here. This eight-day escorted rail tour include two days aboard the Rocky Mountaineer, one of the world's most iconic rail journeys. On this stunning two-day Rocky Mountaineer rail journey you'll witness unparalleled natural beauty and breathtaking vistas. Gaze in awe at snow-capped Mount Robson, the highest Peak in the Canadian Rockies and cascading Pyramid Falls. The most popular of the Rocky Mountaineer routes, and the only passenger rail service on the historic Canadian Pacific track - famous for connecting British Columbia to Canada over 125 years ago. This epic rail adventure, a combination of two Rocky Mountaineer routes, fuses the sigh-triggering sights of the Canadian Rockies with quality leisure-time in breathtaking Jasper, Banff and Lake Louise. Enjoy diverse and extreme landscapes on this three-day journey through the Cariboo Gold Rush region to Canada's largest national park, Jasper. Rocky Mountaineer - 'When the journey IS the destination' First Passage to the West is the most popular of the Rocky Mountaineer rail trips. From Seattle to the Big Apple, this 14-day rail holiday showcases the best of the northern half of America. Enjoy The Beautiful City on the Bay, San Francisco, and the California coast on this leisurely rail holiday. 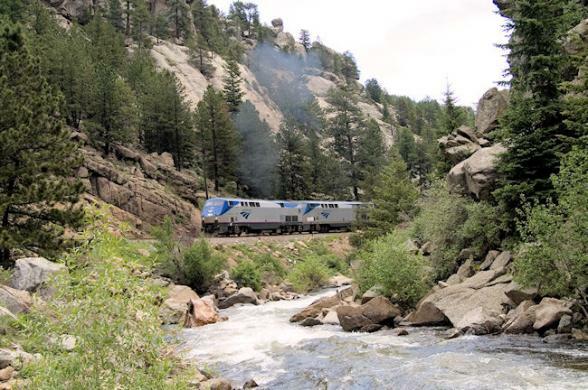 You'll enjoy three amazing train journeys on this nine day adventure through the Rocky Mountain state of Colorado. Discover the Lone Star of Texas, one of the states less publicised to the British market. Enriched with culture, history and flamboyant cities, the perfect way to see a slice of Texas. This tour through Alaska takes you through the American state of mountains, wildlife, glaciers and the largest national parks in the USA. Alaska is a place of sheer magnificence. A journey that will capture the imagination, combine the romance of train travel with the delights of cruising and enjoy the delights of Western Canada. This rail journey invites you to travel in luxury from Toronto’s urban excitement, through a diversity of landscapes to the metropolitan gem, Vancouver. This journey takes you from the cosmopolitan city of Vancouver to the heart of the Rockies through spectacular Mountain scenery.